TECH SPECS: Z-80 8-bit processor running at 3.58 Mhz, 8Kb of RAM, 16kb of VRAM. There’s a reason the SG-1000 is a footnote in Sega’s history: the majority of the games, the stiff, awkward controls, and the lacking console architecture were all subpar, even upon the system’s release in 1983. By the time 1985 rolled around, the SG-1000 was running on fumes, as signified by Sega’s overreliance on the optional-but-necessary-if-you-want-to-play-new-games peripheral, the Card Catcher. While many of the 1985 Sega Card games were actually quite decent, it’s clear upon playing those games that the system’s limited power was being maxed. When Doki Doki Penguin Land looks like an early Famicom game on a system with the power of a ColecoVision, well, get out the balloons and champagne, Sega! The system has run its course. With the Famicom’s power, influence, and sales continually growing, there was nowhere for the SG-1000 to go, but away, and as quickly as possible. 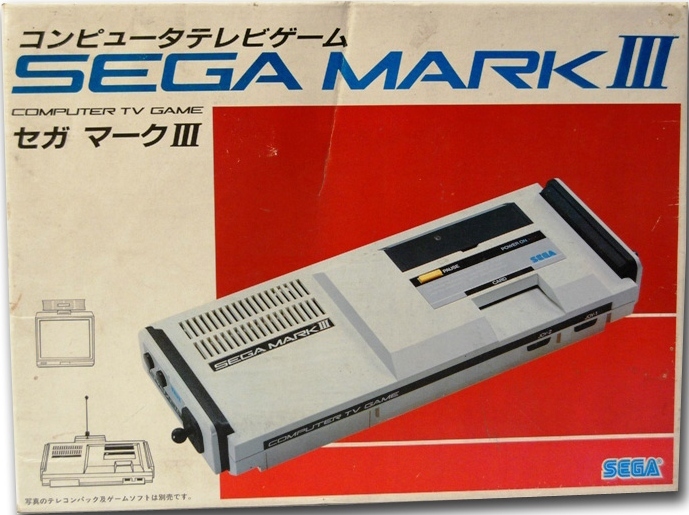 Thus two and a half years after the release of the SG-1000 (and a mere one and a half years after the SG-1000 II “upgrade”), Sega released the Mark III in Japan on October 20th, 1985. Unlike the SG-1000 II, which was a cosmetically revamped SG-1000 with no internal changes, the Mark III was a whole new system designed to compete with the more advanced Famicom. 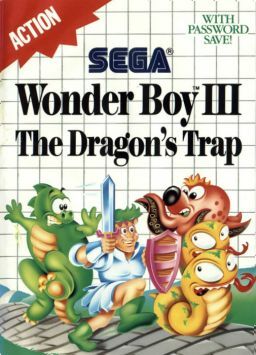 The advanced visuals and extra RAM gave the system a boost over its main rival: Sega Mark III games were graphically more impressive and speedier than Famicom games. Also, the system was backwards compatible with all SG-1000 cartridges and cards, another added bonus for Japanese consumers who may not have been so eager to purchase another Sega system so quickly after the SG-1000’s debut. After the Mark III’s release, Sega wouldn’t choose white as their predominant console color until the Dreamcast. According to SegaRetro, the Mark III sold one million units in the first year of its release in Japan and was considerably more successful than the SG-1000. Despite the Mark III’s superior system specs, the Famicom’s two-year grip on the Japanese console market prevented it from toppling Nintendo’s warhorse in either console’s lifespan. Sega was too little, too late with their new console, a decision they would later try to reverse with the early releases of the Mega Drive, the Saturn, and the Dreamcast. Even though the Mark III wasn’t the success Sega wanted it to be in Japan, that didn’t stop them from rebranding the system for other territories a year later. Sega saw Nintendo’s success in America and decided that it too wanted a piece of the reforming Western console market. 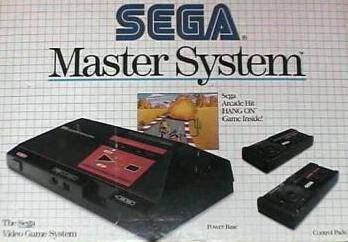 Sega debuted the “Master System” at the Consumer Electronics Show in June of 1986. While the Japanese Mark III was white and looked very much like a rearranged SG-1000 II, the Master System boasted a sleek black-and-red color scheme that distinguished it from Nintendo’s neutral (read: boring) gray on the NES. Also, the name change: “Mark III” only made sense in territories that received the SG-1000 I and II. The “Master System” moniker was one of several options that Sega had thought up, and was apparently chosen by Sega employees throwing darts at names on a white marker board. Where’s my 3D glasses and Light Phaser? I want the future, now! The Master System released in North America in October of 1986 in two iterations: the Sega Base System, which included the system and two control pads for $150; and the Master System which included the system, two control pads, a Light Phaser, and a pack-in game Hang On/Safari Hunt for $200. 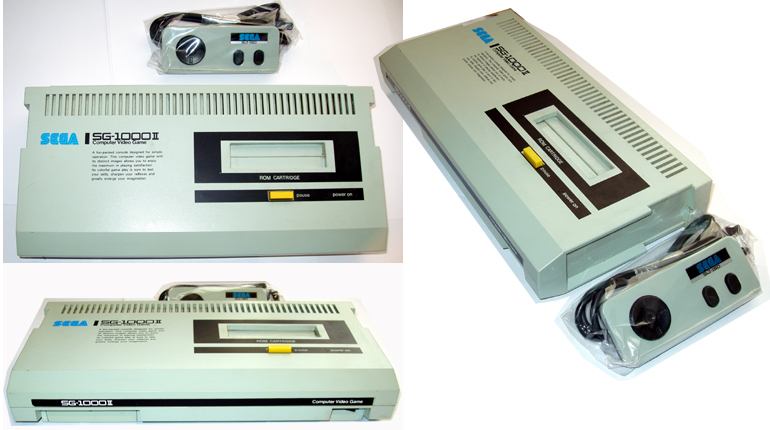 The Base System was dropped sometime around 1987 or ’88 after the Master System proved to be the better-selling bundle. “Better-selling” is a generous term, though. The system only sold 125,000 units upon the first four months of release compared to the NES’s staggering two million units within the same time frame. Sadly, like in Japan, this dramatic sales difference would extend throughout both console’s lifespans. The NES sold over thirty-four million units from 1985-1994 in North America, while the Master System could only muster up two million units in North America by 1993. Sega’s silver lining: even with the thirty-two million units difference between the two consoles, the Master System still holds a second-place title in the 8-bit console “war,” ahead of Atari’s 7800. I’m not entirely sure what I’m looking at here. The Master System’s inability to gain even a reasonable foothold in the North American market came down to a poorly perceived game library, and Sega’s inexplicable decision to sell the system’s licensing rights to the toy manufacturer, Tonka, in 1988. One could only assume that Sega thought the Master System would be able to gain more traction in retail outlets through a toy company (somewhat similar to Nintendo’s initial branding of their Famicom as an “Entertainment System,” not a video game console). Since Tonka had no prior history in selling consoles, however, they didn’t really know what they were doing and the Master System’s continuously poor sales reflected that. By 1990, Sega would reacquire the rights to sell the Master System in the United States from Tonka, but by then, the console had ceded its position to the Genesis. The games: Lord have mercy, the games. While first-party titles like Sega’s own Phantasy Star could hold their own against some of the big N’s releases, Nintendo had a staggering amount of (mostly) excellent third-party support – third-party support that Sega couldn’t touch, thanks to Nintendo’s strict licensing practices. 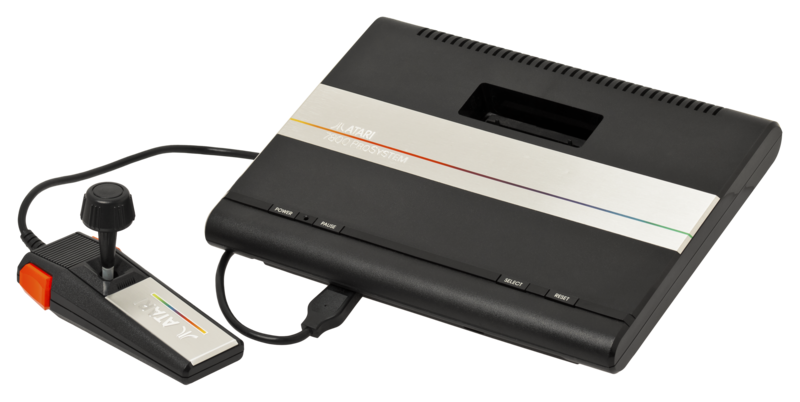 As with the SG-1000, it was up to Sega’s own development teams and a couple third-parties (Activision and Parker Brothers, respectively) to bolster the system’s library. The result? While the Western Master System’s library is more polished and better-playing than the SG-1000’s paltry efforts, it doesn’t compare to the sheer gold found in the NES library. Europe began to receive the system beginning in late 1986 in Germany and Italy, and continuing into 1987 in the UK and France. Home computers ruled the gaming landscape throughout Europe in the 80s, but the Master System was able to make a somewhat sizable impact compared to other consoles of its day: 6.8 million units by late 1993 in Europe alone. The Master System is actually more widely regarded in Europe than the NES, thanks to better third-party support (Nintendo’s exclusivity agreements didn’t reach Europe) and Nintendo’s strange lack of presence in the region. Brazil is perhaps the most surprising region where the Master System flourished. 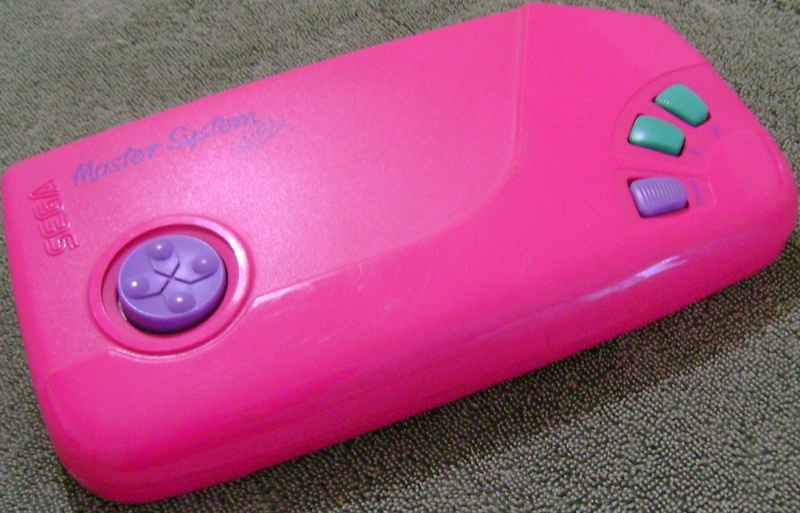 Distributed by Tec Toy beginning in 1989, the console’s popularity exploded due to the lack of competition. The system was so popular, in fact, that there are a number of games for the system released exclusively in Brazil (the 1997 conversion of Street Fighter II being among the most notable). SegaRetro claims that the Master System and new games are still being released in Brazil to this day, but I was unable to find a link that verifies this. Interested in the stylish Master System Girl? Only in Brazil! Japan replaced the Mark III with a revamped Master System (built in FM Sound Unit! A port to plug in the 3D glasses! The future is now!) in October 1987, but despite the slight upgrades, the revision failed to bolster sales. 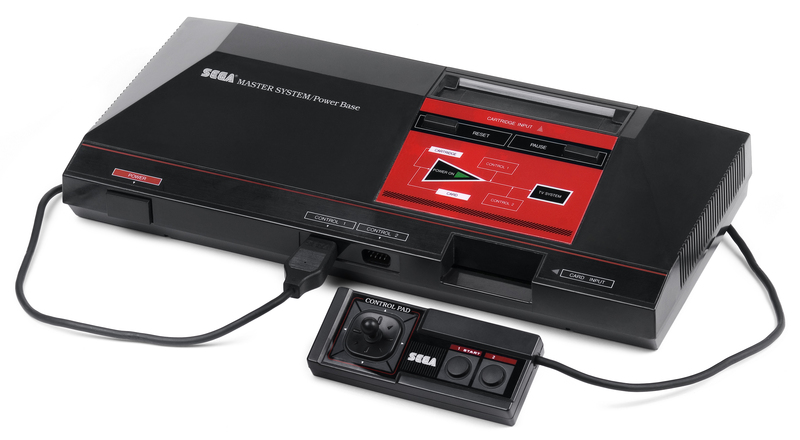 So too did the 1990 Master System II, a complete rework of the console that did away with many of the original system’s features including the power light, the card holder, expansion port, audio/video output, and reset button. The MS II was cheaper, of course, but it was released about a year after the Genesis, and as such, failed to catch on in the wake of its much more impressive 16-bit brother. While the Master System had a healthy long lifespan in both Europe and Brazil, Sega of Japan stopped producing cartridges for the system in early 1989, directly after the release of the Mega Drive. America’s final Master System release would be Sonic the Hedgehog in 1991, after which the system was effectively “dead” – or so it seemed. In fact, the Master System architecture was alive and well in Sega’s first portable console, the Game Gear. Released in 1990 in Japan and 1991 in America and other territories, the Game Gear was, for all intents and purposes, a portable Master System with a greater palette of colors and stereo sound. While the cartridges weren’t interchangeable, many early Game Gear games found their way to the Master System as ports. 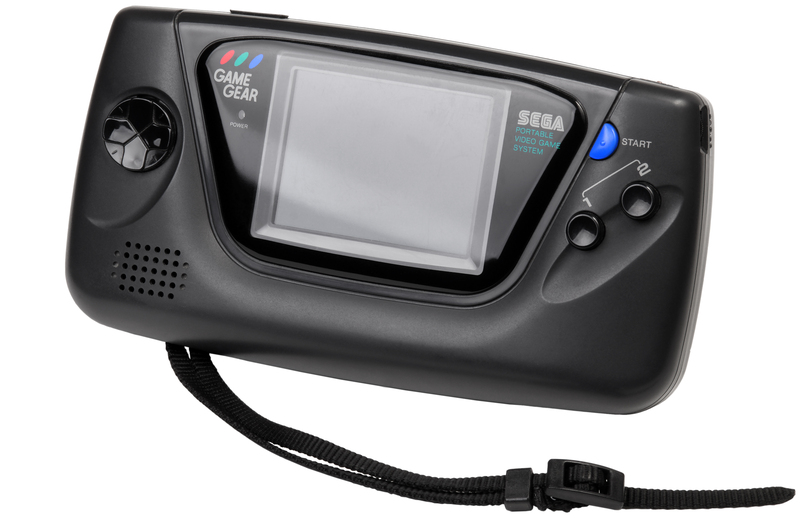 Due to the lack of solid games and the handheld’s ability to munch through six AA batteries in less than five hours, the Game Gear didn’t sell nearly as much as Nintendo’s Game Boy. But, in North America anyway, the Game Gear did sell more than the Master System, which hopefully gave Sega some much-needed closure. The Master System’s legacy lives on in this clunky fellow. If nothing else, the Master System was a giant leap forward for Sega from the SG-1000: sharper, more colorful graphics, tighter controls, and – even with the lack of third-party support – better games. It’s unfortunate that, in both America and Japan, the system was overshadowed by the success of the Famicom and NES. As with the SG-1000, though, Sega learned from their experience with the Master System. Their next console, the Mega Drive/Genesis, proved to be the game changer the Master System should have been, and bolstered Sega into realms of popularity previously reserved for Nintendo. In New Zealand and Australia the Master System had more market share than the NES! It’s interesting to note that SMS is virtually unknown in the former Soviet Union/in China. I think that’s because China had lots of Famicoms from Taiwan, and so they also ended up in most parts of Central/Eastern Europe. During my trips to Poland and Russia I noticed that it’s pretty much impossible to find SMS anywhere, and people don’t even know what it is, generally speaking. On the other hand, Mega Drive is way more popular than SFC there, mostly because of Nintendo’s insane pricing policy. People likely were unable to afford SFC and games for it, so they’d turn to MD as a cheap source of entertainment instead.